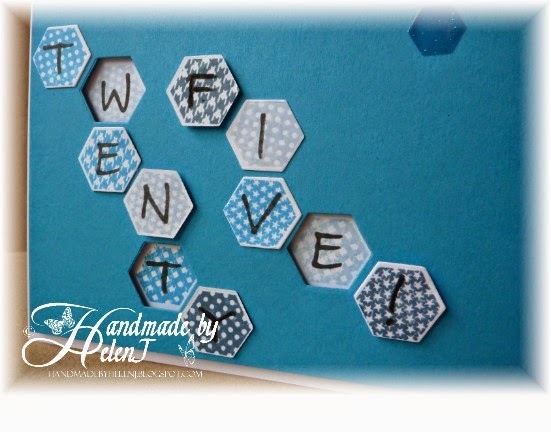 The hexagon stamps & dies are by Clearly Besotted but I found that lining up the stamps onto the die cut hexagons drove me mad - I couldn't get the stamps lined up at all so I threw away dozens of failures! 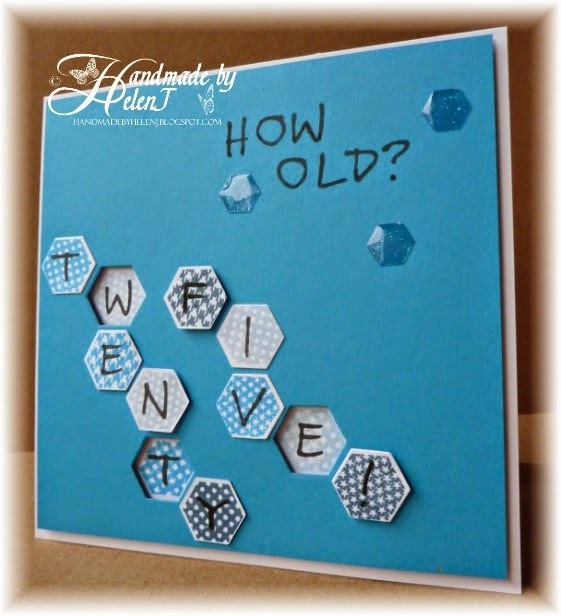 The letters are Kirsty Wiseman stamps, and the hexagon stickers had been in my stash for several years so it was good to finally use some of those. I'm also entering this into the challenges over at Sweet Stampin' Challenge and We Do Doobadoo which both have a masculine theme. Superb design and a lovely card ! This is great fun Helen! Helen what a super idea and card! Love the look of this masculine card. Great card. Just like Blockbusters!